Live Poker vs. Online Poker What's the Biggest Difference Between the Two? 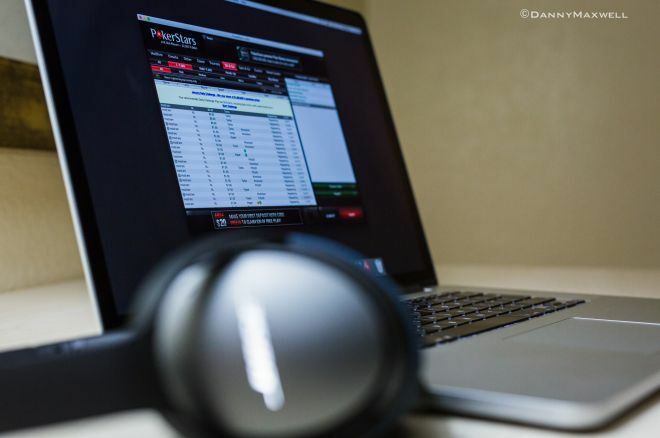 Pace, variance, bad beats, players' skill level -- what makes online poker different from live? 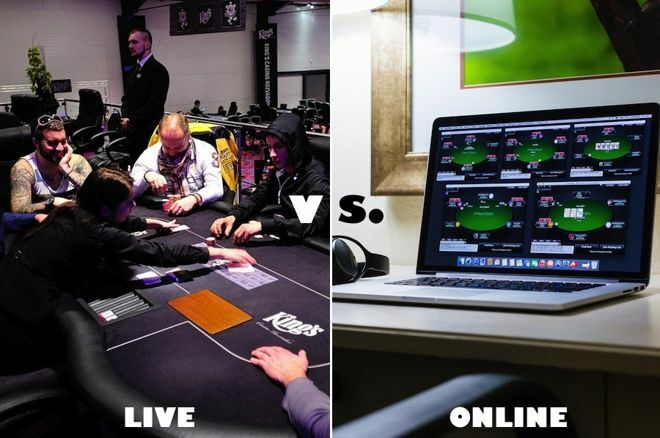 Which of these differences between live and online poker is the most important, in your opinion? How would you compare live poker and online poker? On the one hand, whether you play poker in a casino or play poker on a computer, it's still the same game. A flush beats a straight in both. Players in both games bet and bluff and deliver and receive bad beats. Many of the skills developed in one format translate readily to the other. Then again, many players have persuasively argued the games couldn't be more different. It's like comparing chess and checkers, some have suggested. Online poker, a video game, live poker more likened to a sport. One's "virtual," the other "real." There was a time in the not too distant past that the contrast between "live poker players" and "online poker players" was quite stark. Many pros belonged to one group and essentially ignored the other. You'd hear stories of "live pros" venturing online and not faring well (with some complaining the game wasn't "real" poker). Then there would be "online pros" showing up at live events and struggling with handling cards and chips or game etiquette. Today there is a lot more overlap, with most top players and many at all levels playing both online and live. Those who do engage in both have to be aware of the differences between how the respective games tend to play. What are some of the differences between live and online poker? And among these differences, which are the most important ones for players making the jump from one to the other? As you think of an answer, here are several differences to consider. In live cash games you'll often encounter different bet sizing than happens online, primarily when it comes to opening preflop raises. While an online cash game might feature players opening for 2x, 2.5x, or 3x the big blind, in live games it isn't unusual to encounter players opening for 5x or 6x or even more, particularly in the lower-stakes live games (e.g., $1/$2 NL). Tournaments are a different story, although there, too, you'll occasionally find live players overbetting, particularly inexperienced ones who struggle with keeping track of pot sizes. That said, in the live games you'll often encounter looser play, generally speaking, in the form of players doing a lot more calling. 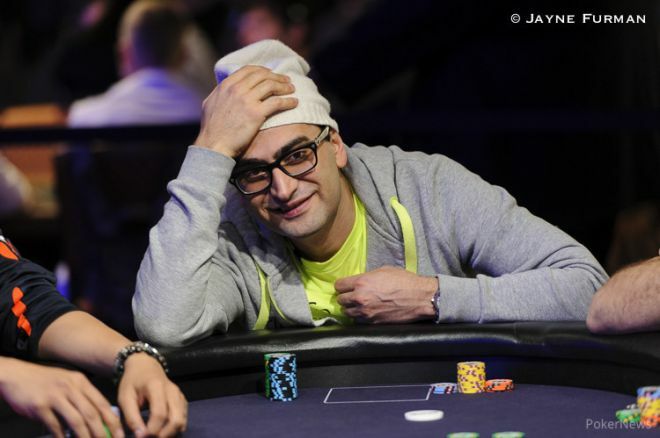 One consequence of this trend is more multi-way pots occurring live than online where the preflop betting more typically creates heads-up situations. 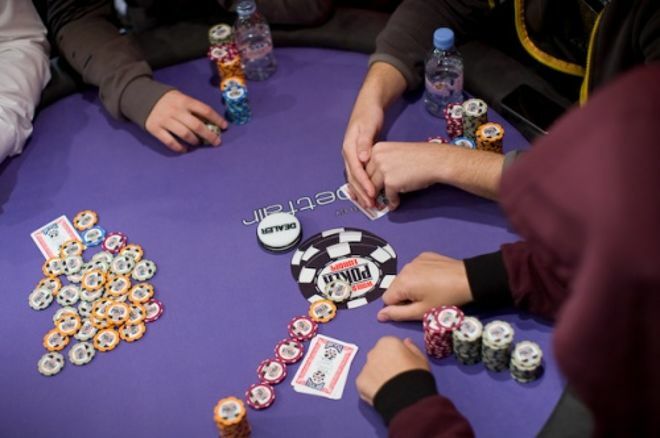 It isn't that unusual in a live cash game session to witness a number of limpers preflop and/or several callers of a preflop raise, thereby creating a multi-way situation. Meanwhile, if live players are often looser than online players with their preflop calls, postflop things tend to go differently. You'll find that online players are in fact more apt to make big postflop calls with weak- or medium-strength hands than tends to happen live. That means big river bluffs tend to get through more often live than happens online (although of course, everything depends on the player and situation). One explanation for this tendency is the fact that it is easier for many players simply to click a "Call" button than to make a tough call live. Not having to endure in person the embarrassment of guessing wrong with such calls make them easier online. In part because of this tendency to run into more callers online, many players report experiencing "bad beats" more often online than happens live. This is especially so at the "micros" and lower limits online, where the small stakes further encourage calls with subpar hands that occasionally do outdraw better ones. "Variance" is a term often used generically to describe the "swings" one endures in poker, with the higher "variance" translating into bigger gains and losses in the short term when compared to your results over longer periods. The faster pace of play online again artificially affects what the "short term" actually is. You might play a week online and log 10 times the number of hands you'd play if you played live poker for a week, thus giving the impression that your variance has been accelerated greatly. Even if it is an artificially-created difference, this "higher" variance when playing online can mean faster, more marked bankroll swings over shorter periods than generally happens live. That means bankroll management has to be approached differently when playing online, where you generally want to maintain a bigger bankroll (in terms of cash game buy-ins or tournament entry fees) than you need when playing live. An obvious difference when playing online is not being able to see your opponents — or for them to be able to see you — which means, of course, the role of "physical tells" gets omitted from the online game. This also obviously affects table talk, which can be important in live games but becomes a non-factor when playing online (aside from chatbox "talk"). 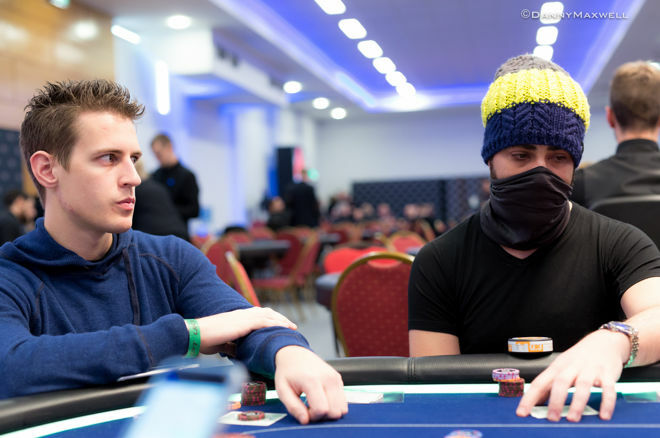 Experienced live players maintain it is much easier to "profile" opponents when playing live, especially less experienced ones who tend to give away lots of information very quickly at the table. That doesn't mean there aren't any "tells" in online poker. Check out "7 Ways to Get Better Reads When Playing Online Poker" by Nathan Williams for discussion of several examples. One last difference we can add to the list concerns how stakes compare between live and online poker. For various reasons, an online game played at the same limit as a live game will usually feature higher-skilled players, relatively speaking. For example, a live $1/$2 NL cash game generally won't have as many tough opponents around the table as you'll find in a typical $1/$2 NL online game, in part because while there usually aren't any lower-stakes games available live, there are plenty of them online (down to just pennies). Some have suggested as a rule of thumb a "10-to-1" guideline when comparing live and online stakes — e.g., a $0.50/$1 NL game online would play as "tough" as a $5/$10 NL game live. Of course, you'll still encounter both good and bad players at all levels, both live and online, so don't take this as a rule without exceptions. Those are some of the most significant differences between live and online poker. Which would you consider to be the biggest difference out of all of these? Share your thoughts in a comment below.